Enjoy an emotional boost with a warming cup of our Best Friend’s Advice Herbal tea – a delicious St John’s Wort Tea with Mango. 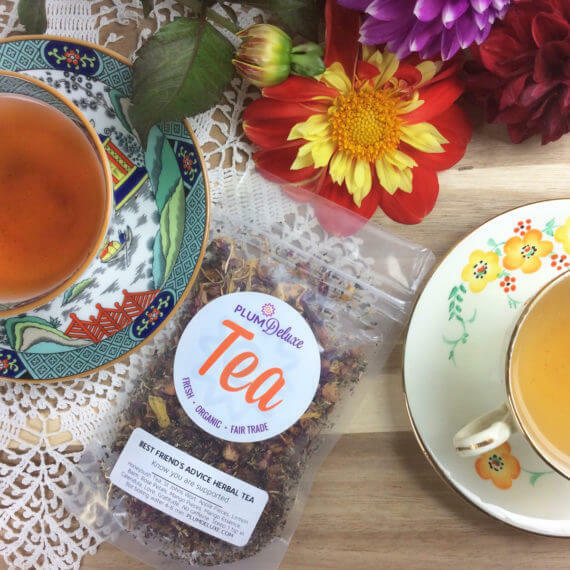 The uplifting herbs help you know you are loved and supported, and the fruity mango infusion helps remind you of the sweeter parts of life. Sip early and often! I've never seen a blend featuring St John's Wort so I was extremely excited when I came across this blend. Alone, the herb doesn't taste great. In this blend, it marries well with the other herbs. Delightful! A beautiful tea with a floral note. Adding whip cream made in my Whip It container put it over the top. I bought this one on a whim because I had read about St John's Wort being good for seasonal depression and with all the grey I wouldn't turn down any pick me up. I wasn't expecting to love it so much. This is one of only 2 teas in my stash that I actually ration out for myself (which means I simply need to order more). It's so fruity and sweet on its own I don't need to add any honey or other sugars. Not sure if the SJW is helping itself, but I certainly end with a warm happy feeling by the time I finish a cup. The mango shines through. I tried this in the evening as a wind down treat. Not sure if it was just the warm cup if yumminess or the St John's Wort, but I was definitely relaxed and ready for bed. 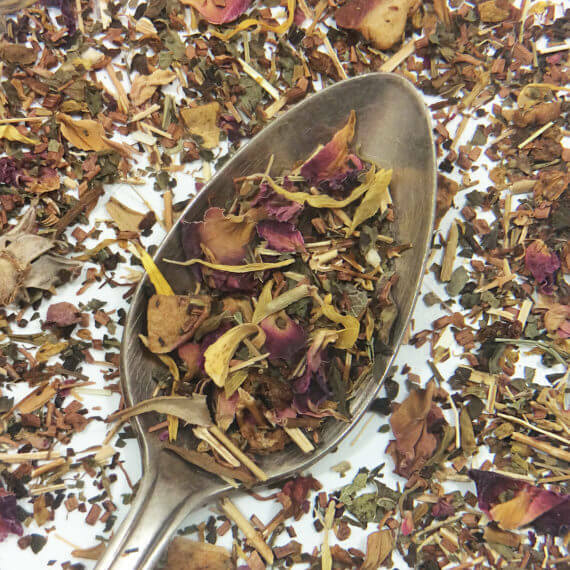 I love this tea with the combination of ingredients that is uplifting yet soothing. Ingredients: Honeybush Tea, St Johns Wort, Apple Pieces, Lemon Balm, Rose Petals, Mango Pieces, Mango Essence, Calendula, Love, Gratitude. No caffeine. Preparation Instructions: Steep 1 tsp in 8oz boiling water 4-6 min.